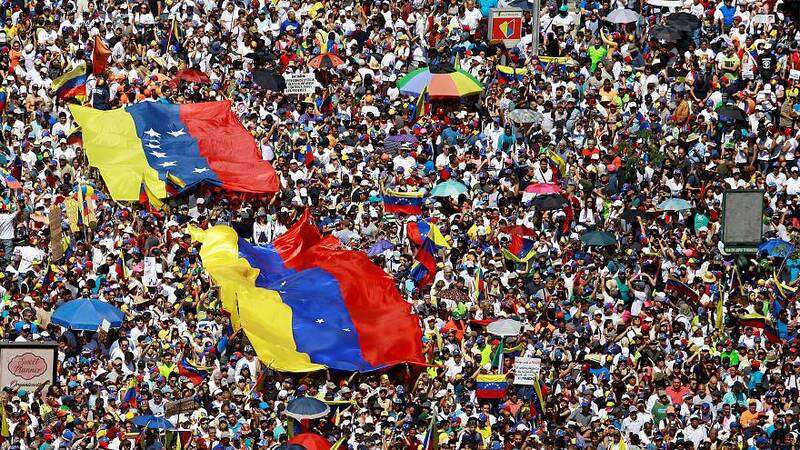 Venezuela is a country is split in two, with both President Maduro and interim President Juan Guaidó claiming power. This weekend, there were duelling protests in the capital, Caracas, as supporters of duelling presidents took to the streets. Meanwhile, the international support for Guaidó is starting to stack up. Sunday was the deadline set by France, Germany and Spain for Maduro to call presidential elections, or all three countries threatened to formally recognise Guaidó as the country's interim President. On Monday morning, French Foreign Minister Jean-Yves le Drian declared that Guaidó has the legitimacy to organise an election himself, and said France will be consulting European partners over the situation. Spain and Austria have also come out in support of the National Assembly chief as both Pedro Sanchez and Sebastian Kurz took to Twitter to announce their standpoint. Jeremy Hunt in the UK added to the list soon afterwards. Maduro has remained defiant, and rejected the idea of an ultimatum. In an interview with Spanish television network Salvados TV, Maduro rejected the idea of an ultimatum set by Europe. "We don't accept ultimatums from anyone," he said. "It's like if I told the European Union: I give you seven days to recognise the Republic of Catalonia, and if you don't we are going to take measures. No, international politics can't be based on ultimatums. That was the era of empires and colonies." Guaidó has also requested aid from the US, which has been one of his most vocal allies from the moment he declared himself interim President. US National Security Advisor John Bolton said in a tweet that the US would be responding by sending aid. In the midst of the power struggle between politicians, citizens are suffering in a country struggling to function normally. Rosa Materano is a Venezuelan who suffers from kidney failure. She's struggled for two years to find the medication she needs in the shops like stomach protectors and blood pressure pills. "I ask myself what we do, the patients," she said. "Because the patients wants to live. I want to continue to live. And I can’t because of the situation”. Doctors in the country say they feel helpless when they have to tell patients there are no answers. "There is a 90% shortage of supplies, surgical equipment, of drugs," said Carlos Prosperi, a doctor with the Jose Maria Vargas hospital. "Laboratory tests that were taking place in the clinics are today not being conducted. They are carried out in approximately only 10% of health clinics. There's also a 90% shortage in the food for our patients in the hospitals. We are affected, given that we feel our hands tied. We feel impotence; we feel our hands tied, because we don’t have the answer for our people. But in the interview with Salvados TV, Maduro rejected the idea that Venezuela is in the middle of a humanitarian crisis. Watch the full report on medication shortages in Venezuela in the video above.